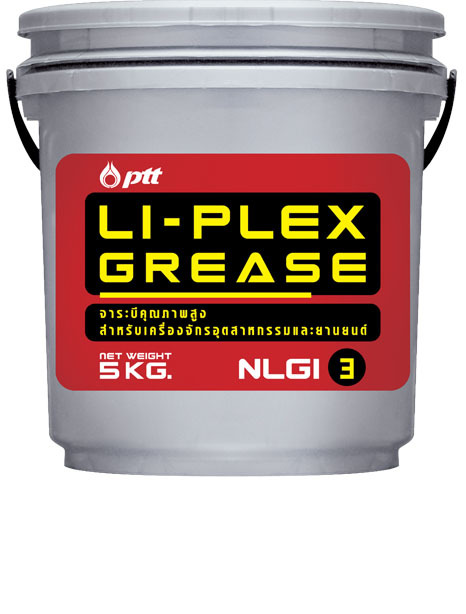 High quality grease made from lithium complex soap, containing Molybdenum Disulfide (MoS2), for industrial and automotive applications. 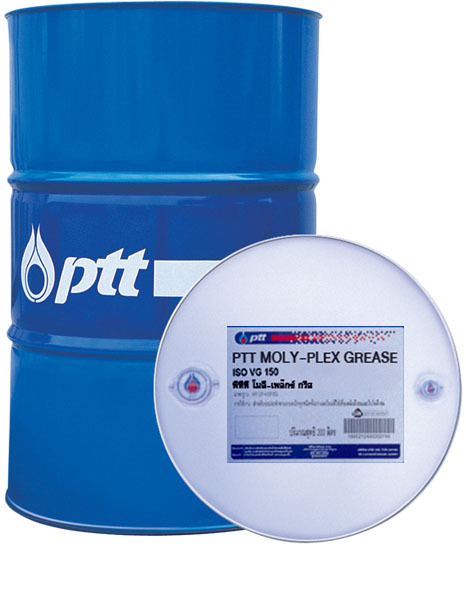 PTT Moly-Plex Grease consists of mineral base oil, lithium complex soap, EP (Extreme Pressure) additive, rust and oxidation inhibitors which provide good lubrication and protection. Excellent thermal stability with high dropping point. Protects against wear, rust and oxidation. It is suitable for automotive and general industrial lubrication with high load such as roller bearing, ball joint, universal joint, drive shaft, water pump bearing, front hanger outboard bushing, wheel spindle also lubrication fitting of machinery and various type of ball bearing used in industry. And suitable for use in construction, mining and farming industries.